I painted this to remember something God did for me. A time when I was weak and He was strong. I went through a very hard winter season recently. I did not know what was going on, but I was hurting and feeling like giving up. I had been getting words about a breakthrough and promotion, so I held on, believing I would make it through, that there was a purpose in this storm. I felt that maybe God was turning up the heat so He could set me free from something, like purifying gold, you have to turn up the heat to get the impurities to come to the surface. One day it got so bad, I called a sister that prays for me when I need inner healing, and just asked her to please pray. 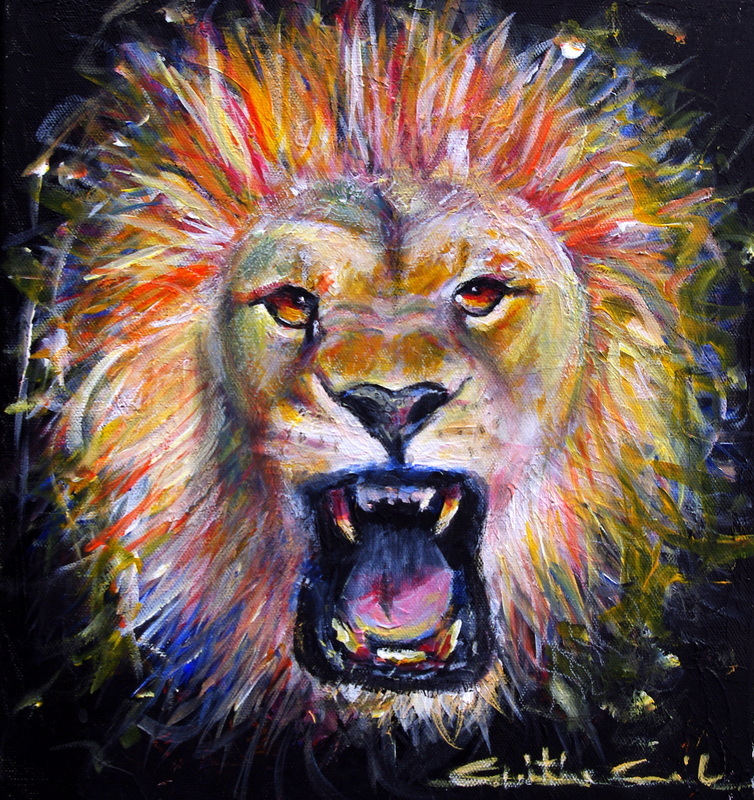 When she started, I was seeking God, asking God what was going on, what the problem was...when I saw the Lion of Judah growling. I thought it was unusual and interesting so I mentioned it to her, but I did not understand why I had seen that. As soon as she started praying, I saw myself yelling something, and I realized that was exactly what God was going to set me free from. I definitely got liberty as she prayed for me!!!!! So thankful for my sister who is anointed of God to set the captives free! Later that evening, I brought my outdoor kitty in because it was cold, and he began to fight with my indoor kitty. They are both are males, jealous for me, because they love me, and are territorial too. 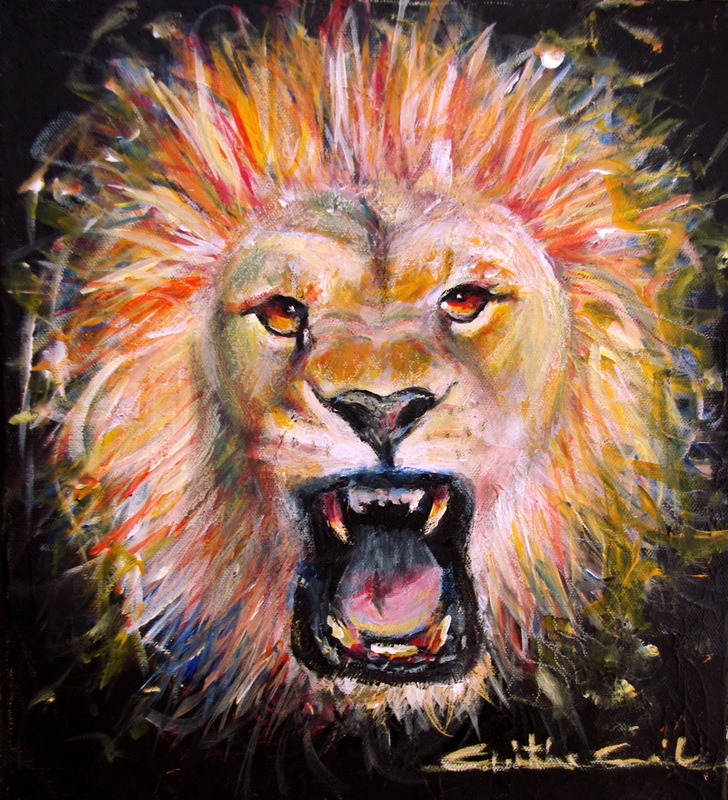 THAT was why I had seen the Lion of Judah growling, when my sister began to pray for me!!!! He loves me, He is jealous for me...because I am HIS and HE is territorial too!